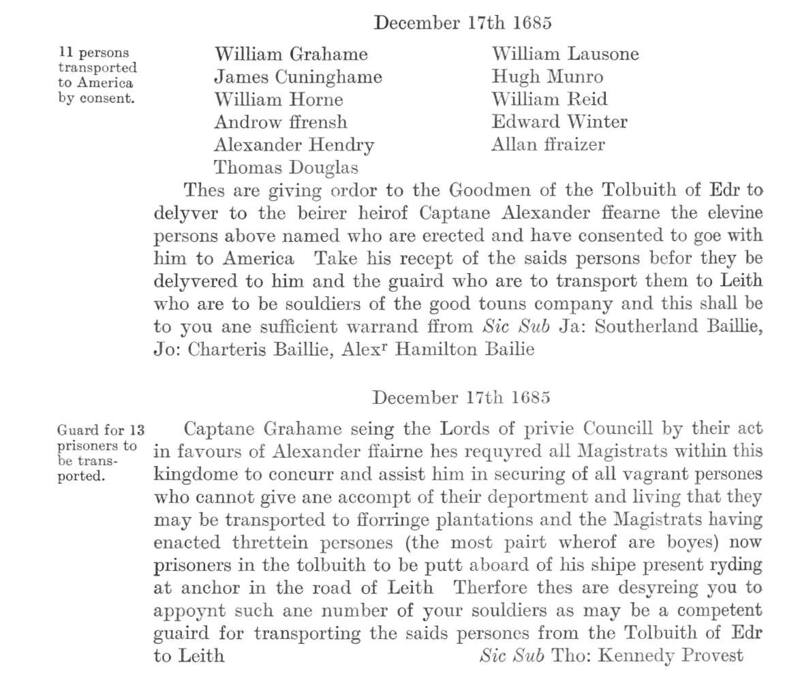 Another source of prisoners sent to Dunnottar on 18 May 1685, released into the custody of Captain Grahame ( Patrick Grahame of the Town Guard). 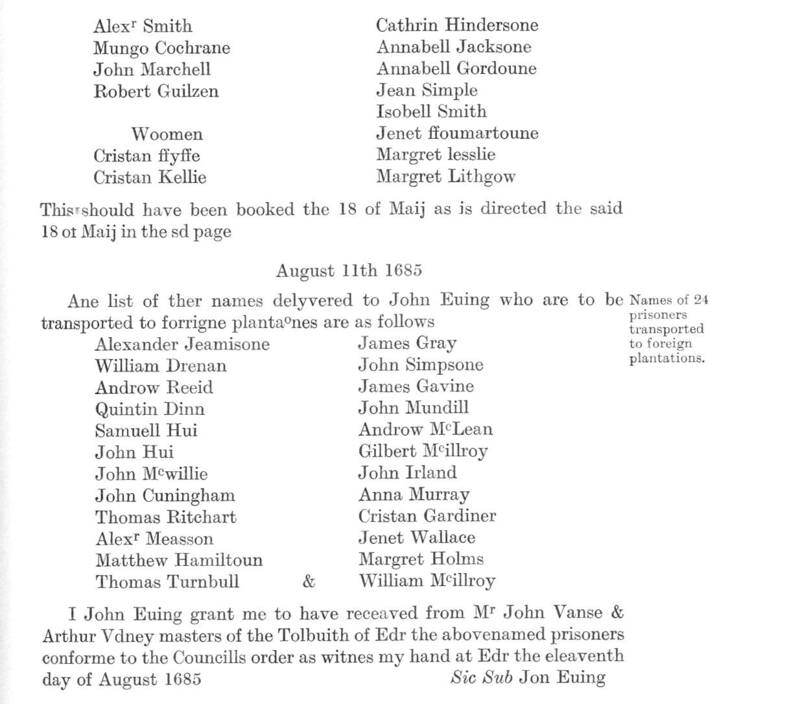 and another entry of 11 August 1685 of prisoners to be sent to the Plantations. 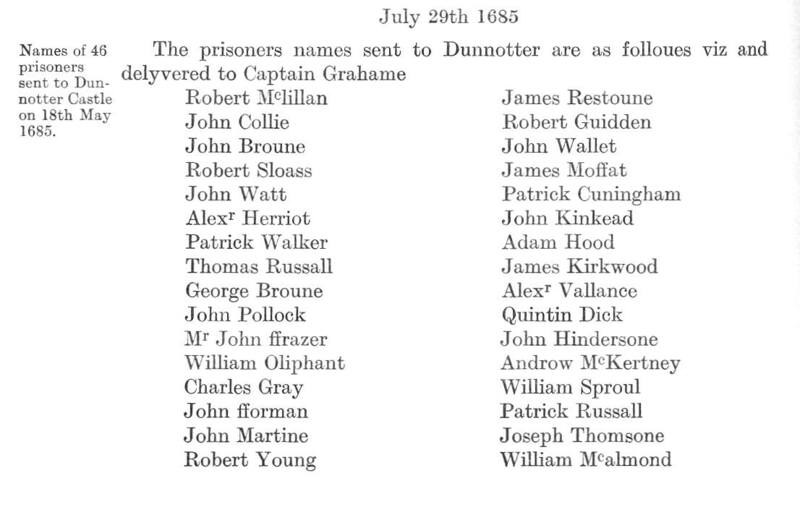 George Brown, Prisoner from Dunnottar died in the Tolbooth. 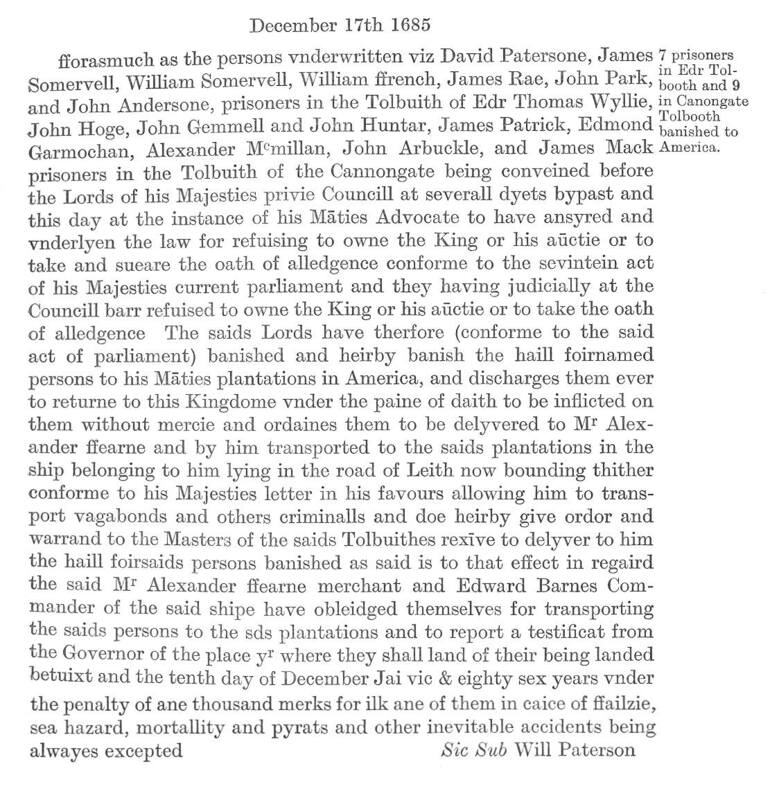 Prisoners for transportation to America , December 1685. Three prisoners who later died on the “Henry & Francis” to Perth Amboy,N.J.